As a result of continuing investigations into last week’s crash of Lion Air flight 610, the US Federal Aviation Administration has issued an emergency airworthiness directive (AD) to operators of Boeing 737 MAX aircraft calling on them to address procedures in the event of pilots receiving erroneous angle of attack sensor information. 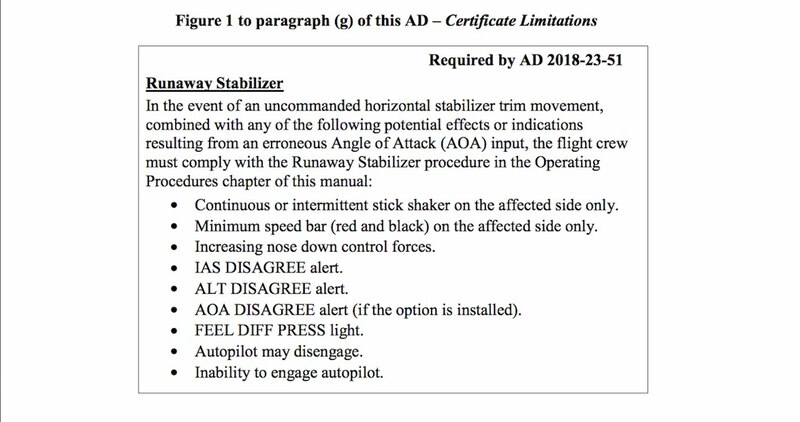 “This emergency AD was prompted by analysis performed by the manufacturer showing that if an erroneously high single angle of attack (AOA) sensor input is received by the flight control system, there is a potential for repeated nose-down trim commands of the horizontal stabiliser,” the AD, issued on Wednesday evening (US time), reads. The FAA says the AD is an interim action, and “if final action is later identified, we might consider further rulemaking then”. 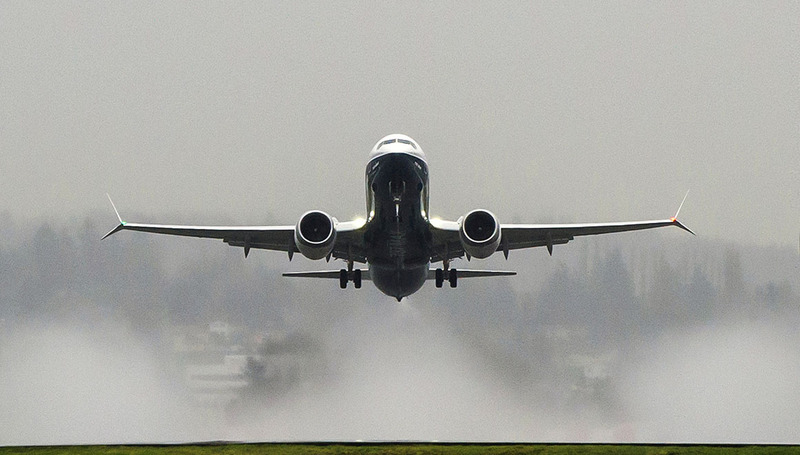 The AD followed Boeing’s issuing of an operations manual bulletin (OMB), asking 737 MAX operators to remind pilots of how to handle “erroneous” information from the aircraft’s angle of attack sensors. “The Indonesian National Transportation Safety Committee has indicated that Lion Air flight 610 experienced erroneous input from one of its AOA (angle of attack) sensors,” Boeing said in a statement on its website on Wednesday. The investigation into the loss of the two-month-old Lion Air 737 MAX 8, which crashed into the sea off the coast of the Indonesian capital Jakarta after a high-speed dive with the loss of all 189 passengers and crew on board, is being led by the Indonesian National Transportation Safety Committee, which has found that the aircraft had experienced airspeed indicator malfunctions on its last four flights. Attempts to fix the issues were unsuccessful, NTSC chairman Soerjanto Tjahjono has said, with the pilots of the 737’s second-to-last flight experiencing conflicting information despite an AOA sensor being replaced. “The point is that after the AOA [sensor] is replaced the problem is not solved, but the problem might even increase. Is this fatal? NTSC wants to explore this,” he is reported as saying. The 737’s flight data recorder was recovered last Thursday, while the search for the aircraft’s cockpit voice recorder, hampered by the muddy seabed, is continuing. All well and good, but at 3 or 4,000 feet time goes quickly and a nosedive into terrain remains a distinct possibility…..
It’s asking a lot for pilots, having just taken off, to correctly identify the problem and apply the corrective actions, all while avoiding the approaching ocean. The Boeing approach is to train pilots now how to correct. Just wonder if changing the software might be a better fix. The AD does suggest more actions later so maybe the training is the interim fix with software to follow. The AOA issue also was a cause of the Air Newland fatal A320 crash after icing affected the sensors. Not just a Boeing problem but perhaps all flight control software design. I agree it is asking a lot from pilots at low altitude and time is the critical factor for corrective action. Assuming the artifical horizon info is still a gyro – at least the backup one- and hence independant of any AOA sensors wouldn’ a ‘back to basics manual IFR flying’ be the fastest solution ? : AP disconnect- trust artificial horizon- keep rate of climb, trim manually and maintain set climb speed ? This however takes into account that IAS and static port information is valid. If IAS is errounious as well that would add big time to confusion, so are the IAS and ALT disagree alerts. It is expecting a lot for crew to resolve this at low altitudes, as in the Hudson River ditching the checklists are often longer than the available flight time. Manufacturers need to get a grip on the problem of resolution checklists turning into a chapter of a book. 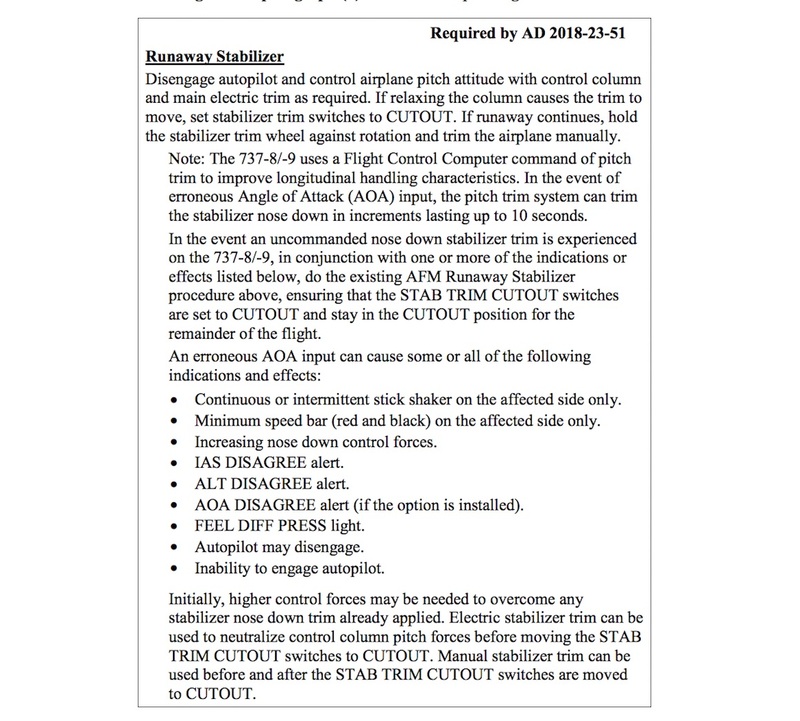 Perhaps moving the “Stab Trim Cutout Switches should be moved to Cutout” as part of the preflight checks until this issue is resolved. Basic pilot training in case of any flight characteristic emergency….”take control and fly the plane”. Work out what’s wrong later. Cockpit voice recorder will go a long way to confirm if they attempted this.